Dale M. Krause, J.D., LL.M. 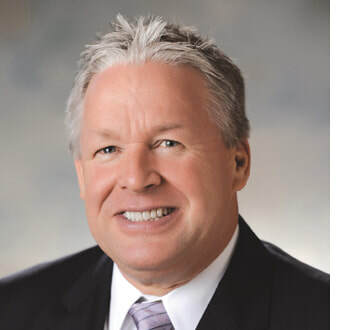 is the President and CEO of Krause Financial Services – a Wisconsin-based firm that specializes in crisis Medicaid planning through the use of Medicaid Compliant Annuities and other insurance products. Dale began his career as an estate planning and elder law attorney in Michigan. He eventually turned over his practice to pursue the design and development of Medicaid Compliant Annuities and established Krause Financial Services in the 1990s. Since then, his company has grown to a staff of over 20 elder care professionals devoted to providing solutions for those facing a nursing home stay. Dale speaks at legal forums throughout the country with the goal of educating and empowering elder law attorneys on their crisis planning cases. With over 25 years of industry experience, he’s a national expert on using annuities to accelerate eligibility for Medicaid or VA benefits. His work has been recognized in several major publications, including Senior Market Advisor, NAELA News, The Wall Street Journal, and Lawyers Weekly USA. He also played an integral role in many landmark Medicaid Compliant Annuity cases, including Weatherbee v. Commonwealth of Pennsylvania and Zahner v. Mackereth. Dale earned his B.S. degrees in Sociology and Political Science from the University of Wisconsin-Stevens Point in 1981, his J.D. from Thomas Cooley Law School in 1985, and his LL.M. in Taxation from DePaul College of Law in 1990. He is also a licensed insurance agent throughout the country. For more information regarding Dale, his accomplishments, and his company, visit www.medicaidannuity.com.